Redstick Orthopedics & Prosthetics L.L.C. was established in 2002 by Marlon Moore with the focus on providing personalized, high quality prosthetic and orthotic care. Our staff members participate in workshops and continuing education opportunities to remain updated with the latest prosthetic & orthotic technologies. Redstick O&P L.L.C., is committed to meeting individual needs and assisting the patients in reaching their goals. Redstick is family-owned and operated right here in Baton Rouge, LA. Other companies may offer similar services, but our services are the best, and come with a personal touch. 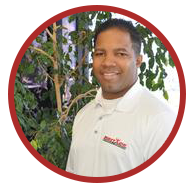 Marlon Moore B.S.C., C.O/Clinical Prosthetist is an American Board Certified (ABC) Orthotist & Board eligible prosthetist. Marlon is the proud owner of Redstick O & P L.L.C. Marlon grew up in North Baton Rouge an attended Southern University and receiving his Bachelor of Science degree in Rehabilitation Services. He was also very active in the student government and Southern University football team. After graduating from Southern University, Marlon went on to receive another Bachelor of Science in Prosthetics & Orthotics from the University of Texas Southwestern Medical Center at Dallas. Marlon has been working with patients and providing services to doctors for more than ten years. Marlon has worked with all ages and activity levels of amputees. His Experiences with different components and designs has given him firsthand knowledge in developing a system that is most beneficial to the individual patient. As a certified Orthotist, Marlon has several solid years of experience in components in designing KAFO's, AFO's body jackets and dealing with diabetic patients. Marlon is a firm believer in the team approach to meeting the patient needs.